Today I'd like to feature this trio of quilts made by Natalie of Greenleaf Goods and submitted to the Made With Pink Castle Fabrics flickr group. 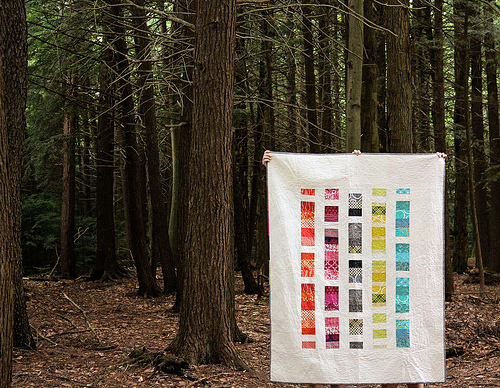 Natalie made this Stacked Coins quilt based off the colors in Denyse Schmidt's Chicopee line. 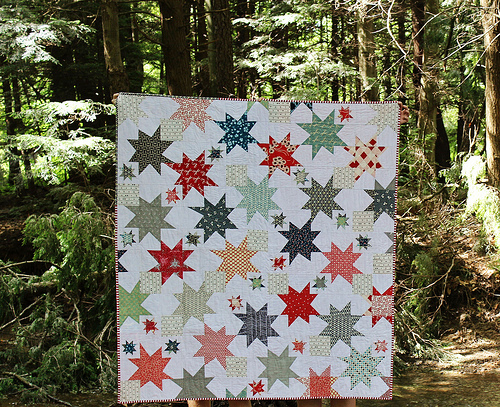 Here's a great star quilt with a bit of a July 4th theme. I love the layout of these stars. 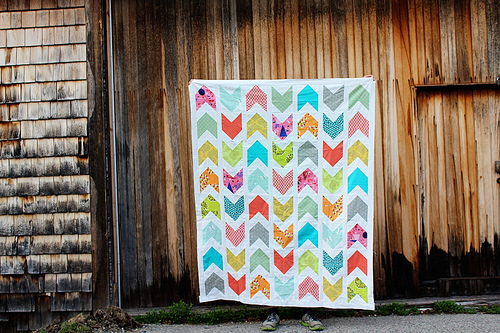 And finally, here is Natalie's bright Pow Wow quilt top. I can't wait to see what this one will look like when it is finished. Great colors! Read more about these projects on the Greenleaf Goods blog. Keep adding your project photos to the flickr group: We love seeing what you're making and sharing your projects on our blog!